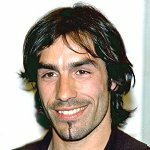 So after 6 years Robert Pires is leaving Arsenal to sign a 2 year deal with "The Yellow Submarine" of Villarreal of the Spanish La Liga. 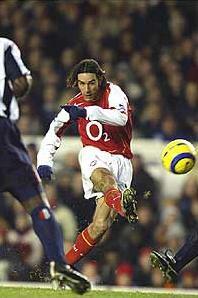 He scored 84 goals in 284 games for Arsenal and was a very important part of Arsenal's success over the past 6 years. He was the player of the year in the EPL in Arsenal's double winning season of 2002 even though he missed the end of the season with a torn ACL. 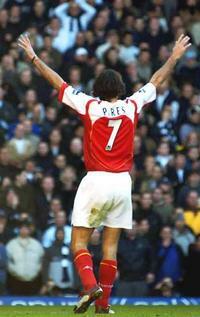 My sentiments on Pires mirror those of Arseblogger. Sadly, his final appearance for Arsenal, in the Champions League Final, lasted only 18 minutes. He was sacrificed (had to be substituted) after Arsenal goalkeeper Jens Lehmann was sent off early in the match. He was not selected to the French World Cup team, mainly because the coach does not like him, so it was especially sad, as the Champions League Final was his World Cup Final. I will always remember my first match at Highbury in 2003, on my birthday no less, when after falling behind 0-1 to Fulham Pires scored the equaliser in the first half and then the game winner, in extra time, right in front of us sitting in the North Bank. It was one of the coolest birthday experiences of my life, and I remember singing his song several times with the other 38,000 at Highbury. I also must thank him for being so hottt in the eyes of my ex-girlfriend, which allowed her to watch many matches with me without getting too bored. This cannot be underestimated, especially at a time when Arsenal featured the likes of Martin Keown, Tony Adams, and several other less than GQ looking dudes. He does have a habit of falling down rather easily, and for this reason if he played for any other team might very well be the player I love to hate. But he also got stuck in and made an amazing dispossessing tackle of none other than Patrick Vieira in the Arsenal-Juventus CL quarterfinal at Highbury, which led to Arsenal's first goal. He was also very candid and honest with the press, which is so uncommon these days and which I always appreciated. I join everyone else in the Arsenal family in thanking him for his massive contributions to the club and also wishing him all the best in Spain. Merci beaucoup pour tout de votre cadeaux, Robert. Et Bon Journee mon ami.